Aloha and welcome to the first post of my new blog! 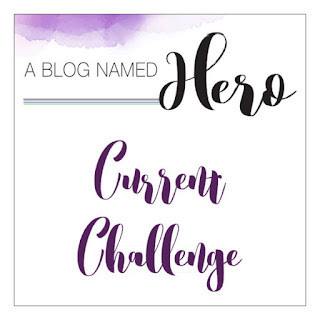 I decided to start doing this so that I could enter challenges such as the current one at A Blog Named Hero and help my memory to remember what products I used. This is for the "embossing" challenge. Start by using a sheet of Windsor & Newton Bristol Board Extra Smooth cut to 4-1/4" x 5". Heat emboss the Beachy Bold Prints from Hero Arts using Versamark ink and Hero Arts Gold embossing powder. 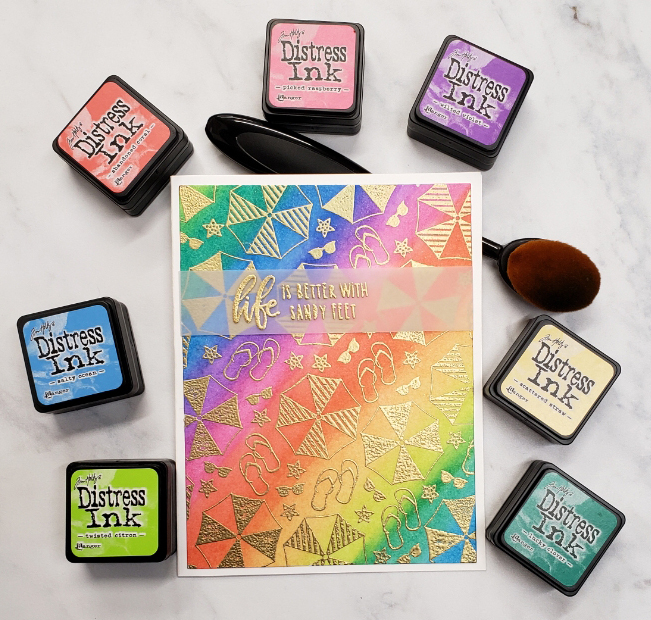 Blend Distress Inks in Abandoned Coral, Scattered Straw, Twisted Citron, Lucky Clover, Salty Ocean, Wilted Violet and Picked Raspberry using a Picket Fence Life Changing blending brush to create a rainbow across the panel. Cut the panel down using the 2nd largest rectangle from the Hero Arts Nesting Rectangle Infinity Dies. Heat emboss the sentiment from the Hero Arts My Monthly Hero June 2018 kit with Versamark and Hero Arts Gold embossing powder on Stampin' Up Vellum Cardstock.